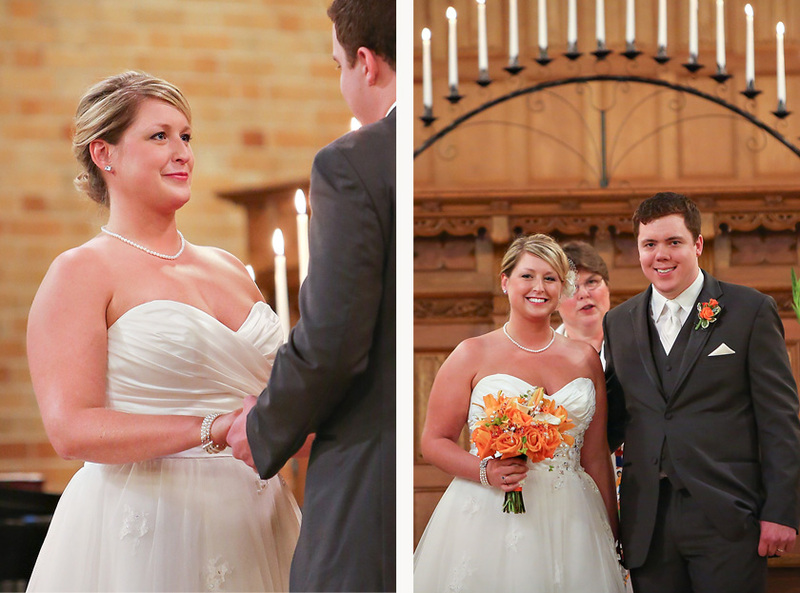 Laura and Michael's Grand Forks wedding was certainly a great celebration. It was a perfectly planned day -- a gorgeous dress, a stunning venue, creative flowers, and thoughtful details -- but the people involved were such a hoot and totally made the day! It was the funniest group of guys that I've ever worked with, hands-down. But they were also all so helpful and kind. And the bridesmaids were all sweet and genuine and funny. I can't say enough about the group of people Laura and Michael chose for their wedding party! I loved being a part of this wedding and am excited to share some of my favorite photos! I photographed this wedding with the wonderful Amanda Cardinal of Amanda Cardinal Photography. Sadie of Sadie's Couture Floral did an amazing job, as always, on the flowers and decor! Megan is one of my first clients. She was born right around the time when I started thinking about my own photo business (my first business cards had a photo of a purple flower and said "Shawna Widdel Photography Services." Ha! Great name!). Lucky for me, her mom asked if I'd capture photos of Megan right after she was born. And now, 8 years later, I'm still lucky enough to capture photos of her. I love my job! Because I've snapped so many photos of Megan over the years, I thought we'd try something different this year. We started the session with a little studio setup in my office, then ventured outside into the snowy/rainy day!